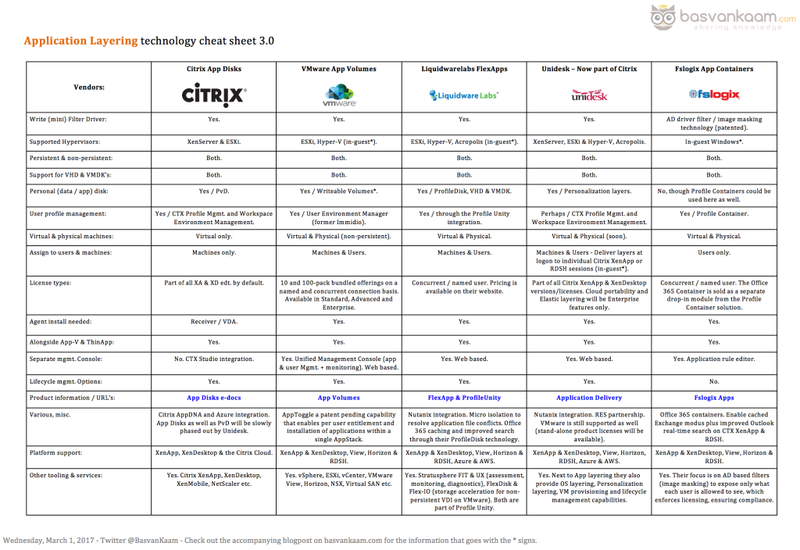 The application layering technology cheat sheet, version 3.0! Throughout the past year and a half I have had some very positive feedback on the application layering cheat sheet, needles to say that I will continue to update the sheet going forward. I am up to version 3.0 already. The main goal is to highlight some of the most important changes/additions when compared to the previous cheat sheet, version 2.0 in this case, though I will never be able to include all changes, features, and so on of every product. As such, this is by no means meant as an exclusive list. Quelle: The application layering technology cheat sheet, version 3.0!